This ALD Academy takes place on April 3 at Eindhoven University of Technology, the day before the 4th Area Selective Deposition workshop (ASD2019) in Leuven, Belgium. For those interested, there will be transportation to Leuven for ASD2019 (see below). Note that additional registration is required for ASD2019 (see www.asd2019-workshop.org). Description – This course is an introduction to area-selective deposition (ASD), and addresses fundamental aspects related to initial growth, nucleation mechanisms and selectivity. The current interest in ASD will be put in perspective by providing an introduction to nanopatterning and an overview of the applications of ASD. There will be a focus on area-selective atomic layer deposition (ALD), but also results from the field of selective epitaxy and area-selective CVD will be discussed. Furthermore, an overview of the approaches for area-selective ALD will be presented. The course will have an interactive atmosphere with plenty of time for questions and discussions. During this course, the attendees will acquire understanding of the basics of ASD and learn why ASD has become a hot topic in semiconductor fabrication in recent years. This ALD Academy takes place on April 3 at Eindhoven University of Technology, the day before the 4th Area Selective Deposition workshop (ASD2019) in Leuven, Belgium. 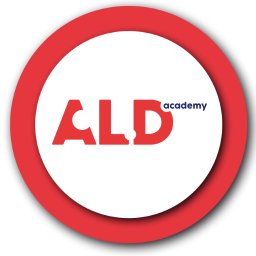 Target audience – This ALD Academy is aimed at students, researchers, and engineers that are interested or work in the field of ASD, or work on related technologies such as patterning, deposition or etching. It can serve as an introduction for the ASD2019 workshop, which is targeted to a more experienced audience. Program – The program comprises 6 lectures and runs from 9:00 to 17:00. The speakers are Gregory Parsons, Adrie Mackus and Erwin Kessels. The bus to Leuven for ASD2019 will leave around 17:30 and the expected arrival is around 19:00. Please note that there is a small fee of 25 Euro for this transportation and you can indicate your interest below in the registration form. Registration is open until March 27 and is on a first come, first served basis. Registration includes participation in the course, a digital copy of the course notes, coffee/tea and lunch. For participants from academia, the registration fee is €175 per person. For students (including PhD students), the registration fee is €75 per student. For participants from industry, the registration is €350 for the 1st person from a company, €175 for each additional person. Transport to Leuven costs €25 per person. Registration is only complete when both steps have been taken. At that stage, the successful registration will be confirmed.